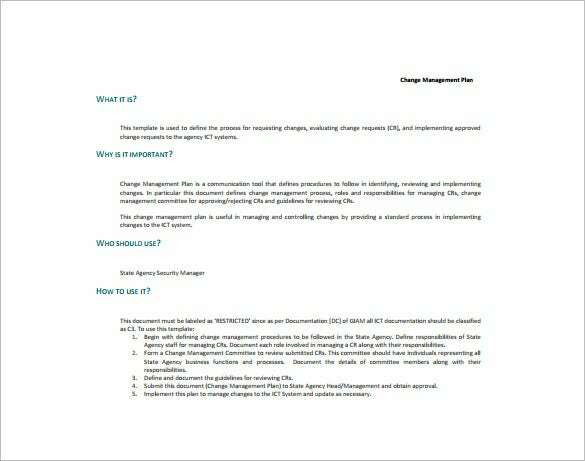 A change of management plan template is essentially used as a staffing plan document as well. In the event of a staff shuffle in a company, it may trigger a sort of disarray within the organization. However, if you are using a change of management template, the disorder will not take place and the transitions will happen in a smooth manner. 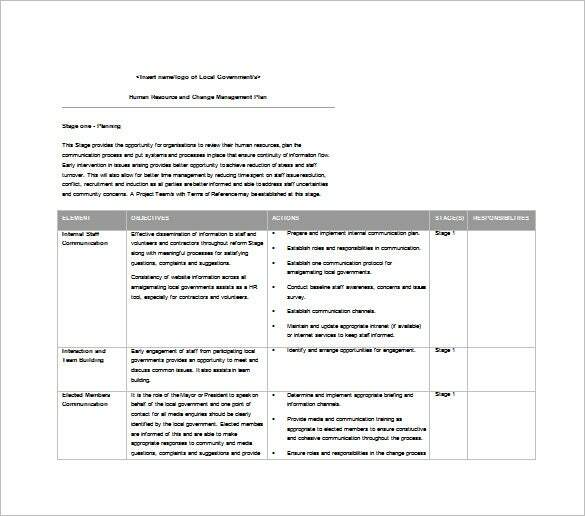 This kind of paperwork is useful mainly for ensure that managerial frailty does not occur.You may Also Like Performance Improvement Plan Templates.You may also see Plan Templates. 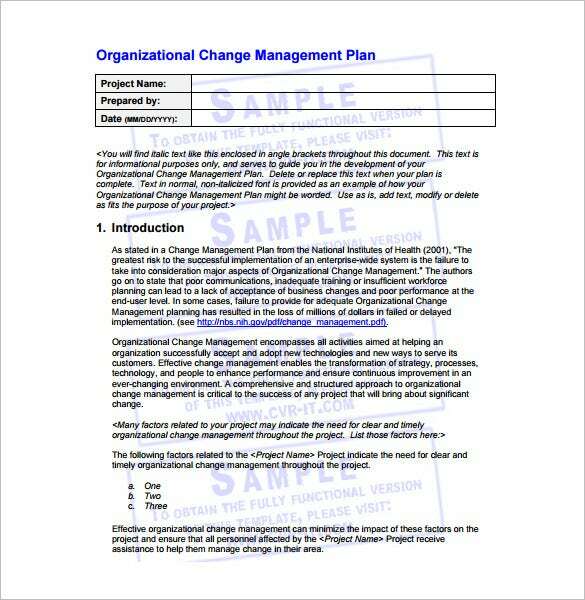 oe.berkeley.edu | If you are a project manager and want to be on top of things in your project then one of the documents you should have prepared is a change management plan. 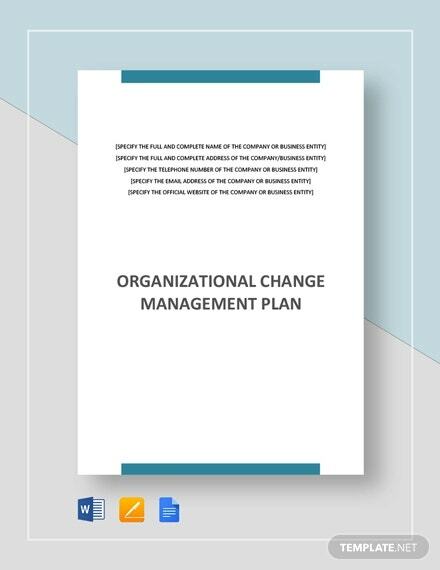 Download this PDF template today and work on the project change management plan to avoid any surprises in the course the project. dlg.wa.gov.au | It is very important to have a human resource change management plan in every organization. This plan can be of great help when a senior employee leaves or a companywide restructuring is needed. Use this Word template to make it work and be ready to implement it when the need arises. 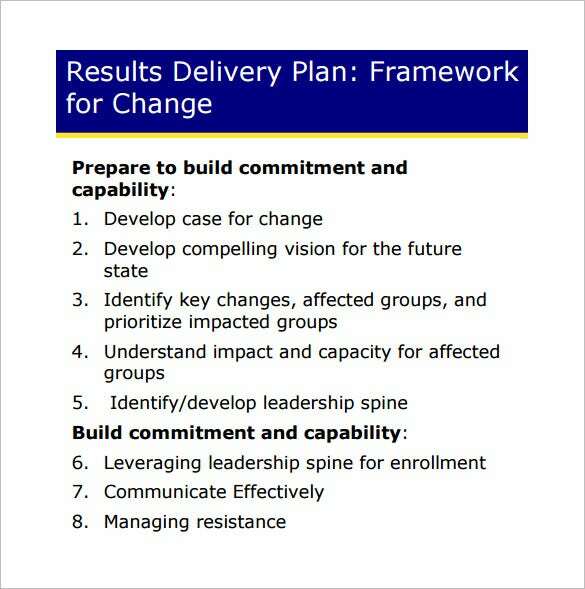 cvr-it.com | Any large organization requires a change management plan ready just in case it is needed. Download this PDF template that has been designed by professionals to make your work easy. You only need to fill in the template and replace it with your data and be ready to manage change in the organization when the need arises. westcon.com | The security of any IT system is important for every organization hence the need to have in place a firewall change management document. This will describe all the steps required to be done in the instance a firewall is to be changed. This PDF template describes the guide in writing the document and it has the layout already designed for you to fill with your company information. 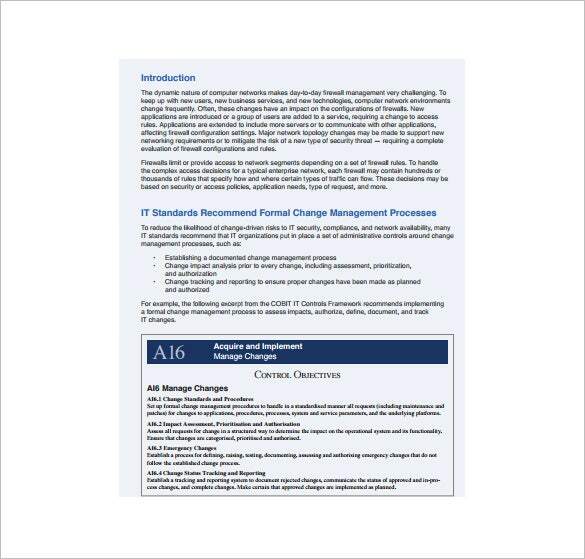 qcert.org | Meant for the use by state security agencies, this change management plan template is what you need if you want to smoothly manage change when the need arises. It is a communication tool to help link the minds of the implementing personnel with the rest of the individuals to be affected by this change.